New wireless speaker released by Creative is dubbed Creative Wireless Rock Speaker. Utilizing the Sound Blaster Audio technology, this outdoor speaker is designed to have a natural granite rock outlook. Creative Wireless Rock Speaker is also designed with 2.4GHz wireless technology and weatherproof property, making it durable and suitable for various weather condition. The Rock Speaker is powered by a rechargeable battery enough for up to 6 continuous hours of play time. It will blend nicely on your lovely garden, deck, backyard or for pool side speaker. 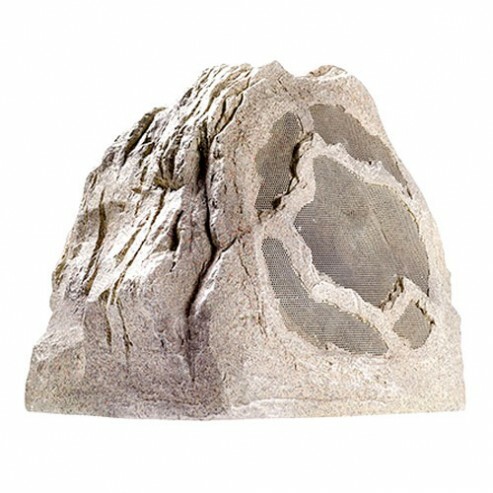 This rock speaker will add more delightful moment for various events whether it is a gathering with your family, friend or a special garden walk or pool side moment with your special one. However, you will need the Sound Blaster Wireless transmitters for music streaming.